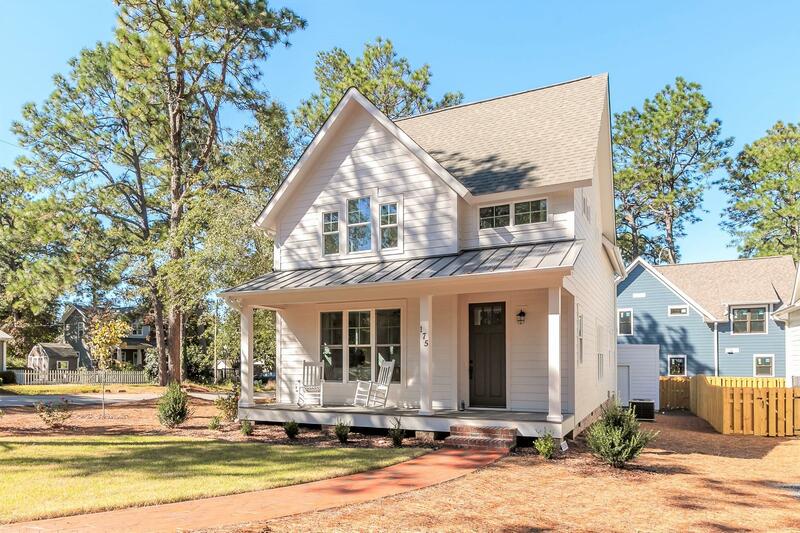 New construction by Pinnacle Development, Design Build in the heart of Downtown Southern Pines NC. Walk to your favorite shops, parks and restaurants. This home features three bedrooms with en suite bathrooms and all have walk in closets. Designer kitchen opens to living room and dining room. Half bath and laundry room downstairs. Master bedroom downstairs with artisan bathroom, and two bedrooms upstairs. Top line finishes throughout. High quality, well designed home which has tons of storage space without sacrificing living or bedroom areas. Minutes to Pinehurst, Aberdeen, Vass, Whispering Pines and Camp Mackall. 20-25 minutes to Fort Bragg Military Base!